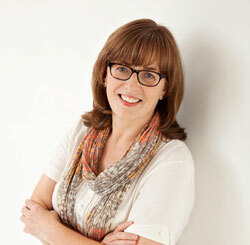 Anne has spent many years ‘reading’ the bodies and meeting the needs of her clients. She knows that whilst a particular therapy works wonders for one person it may not suit another. So when you visit her, a treatment will start with a detailed consultation to discuss what’s bothering you and together you will plan a personalised programme of therapies, tailor-made for you, your body and your issues. Anne’s original training was a full time Diploma course including traditional Swedish style massage and facial therapies. She then came across Aromatherapy, loved what it offered and took the immediate decision to study and qualify in that area. She has continued her studies in order to offer her clients the most effective treatments options, and was one of the early practitioners of the Bowen Technique in the UK. As her practice grew, so did her awareness of the intrinsic connection between mind, body and spirit and the fact that in treatments they can’t be separated. These links between mental and emotional stress and distress have led her to explore further ways of using the power of the mind to re-balance and heal. She has studied and is qualified in EFT (Emotional Freedom Technique) more commonly known as ‘tapping’ and is also a teacher of Mindfulness Meditation. Anne also has a background in vocational education. She was Principal of Champneys College & has worked as Head of Training for one of the UK’s leading Aromatherapy brands. As well as training in the UK she has worked with therapists in North & South America; Europe; the Middle East & Far East. She has assessed & examined for national & international examining bodies, including the International Federation of Aromatherapists. Anne’s knowledge, philosophy & bespoke approach guarantees that any treatment you receive in the serenity of her consulting room will be completely holistic and unique to you. Treatment is charged at a fixed rate of £65 per hour and is booked by duration rather than charging for individual therapies used. Anne’s holistic approach and the range of therapies offered allows you to explore what suits you best, in one comfortable location and within a time frame to suit your schedule and budget.